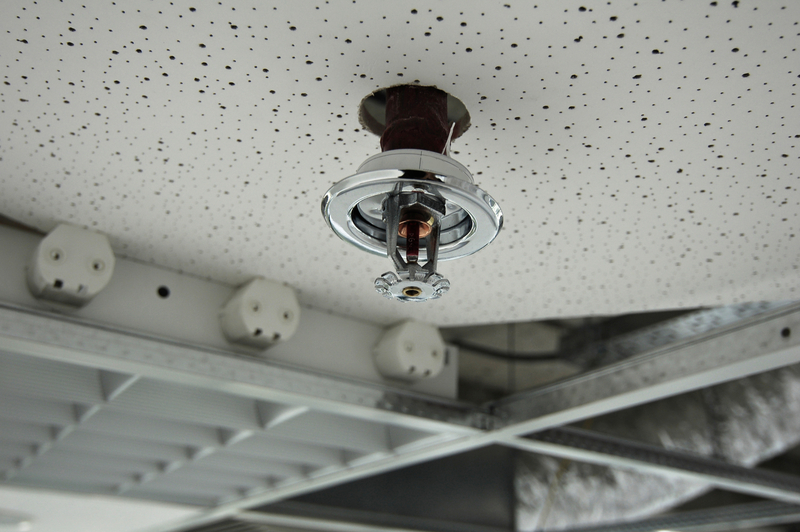 It may or may not be visible to everyone just how fire sprinkler systems work. These mechanisms run only by detection of fire. Although, I’m sure we’ve all seen a movie scene or two where the fire sprinklers went off falsely for humor. The good thing to know is that they do not all go off when one is triggered. Each has their very own way of detecting heat, not smoke! No more fear of these little guys. Here I will do the best I can in explaining how these systems work. An interesting fact about these fire sprinklers is that they have a tiny plug that is sensitive to heat in order to shatter during a fire. They then evenly spray the pressurized water. So much toxic smoke is eliminated before the firefighters arrive because of these “ceiling heroes.” If the temperature stays below 155 degrees Fahrenheit, the sprinklers will not turn on. These continuously circulate in the pipes to keep the water fresh and prevent rusting. When the system detects the fire, it then releases the water through the nozzles. Pressurized air is inside the pipes rather than water. Water is stored in the control valve which is away from the protected area. When the air pressure drops, this releases the lid, and the water is then dispersed among the flames. These are commonly found connected to refineries, power plants, and airplane hangars. The system was created for areas that are high hazards and in need of complete fire protection from even a 45-mile radius. The sprinkler heads are always open for water to be distributed when it’s vital. The Deluge Valve is used for controlling when the water should flow out. The detection system picks up the fire, smoke, or heat and then that activates the Deluge Valve. If necessary, the sprinkler systems spray not only water but also foam. The foam would typically be used for quickly blanketing a fire in an aircraft hangar. It consists of a low expansion concentrate mixed with water. The fact is that 96% of fires are extinguished by fire sprinklers alone. The sprinkler systems were invented by Leonardo da Vinci in the 1500’s. Isn’t that amazing? They have been around for hundreds of years. But today, the most well known and successful manufacturer is Tyco International (Fire Protection Products). Another interesting fact is that in England they require buildings over 30m high to have a sprinkler system installed. Fire sprinklers are so incredible because they save your time and money to take out a fire. These systems only take a few moments to activate when the fire is detected. Whereas firefighters have first to receive the call, drive to the destination, and then unload all the equipment to extinguish the fiery flames which could have been less fiery with the use of fire sprinklers. The fire sprinklers DO NOT replace firefighters, but they do help to a serious degree. Did you know that fire department hoses shoot out 250 gallons of water per minute to put out fires?That’s around 10 times more water than fire sprinklers use per minute. The NFPA made a statistic for how much money is lost from fire damage in buildings with sprinklers and buildings without sprinkler systems. The buildings that have fire sprinklers installed still left $2,300 worth of damage to fix, but those buildings with no fire sprinklers came to $10,300 of damage. That’s about 4 1/2 times more damage! Although these sprinkler systems may not be necessary for smaller buildings, they sure do give benefit to your wallet. 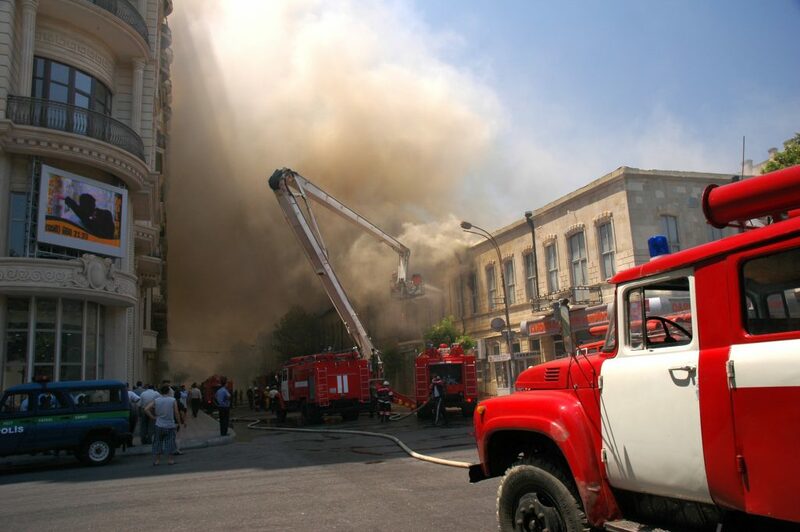 Fire sprinklers are sort of insurance to the business owner and even residents living in a community. Some communities require their residents to have up to date fire sprinklers put in their homes because of no fire hydrants being near for proper backup water supplies. It’s smart to think about the many benefits of fire sprinklers for your home or business. They may cost a bit to install, but you are getting more than what you’re putting in. They certainly give you more peace of mind too. No need to worry about keeping a fire extinguisher around your home anymore. You’d have an automatic one in every room that does the job for you.